Are mornings busy in your house? They certainly are here. 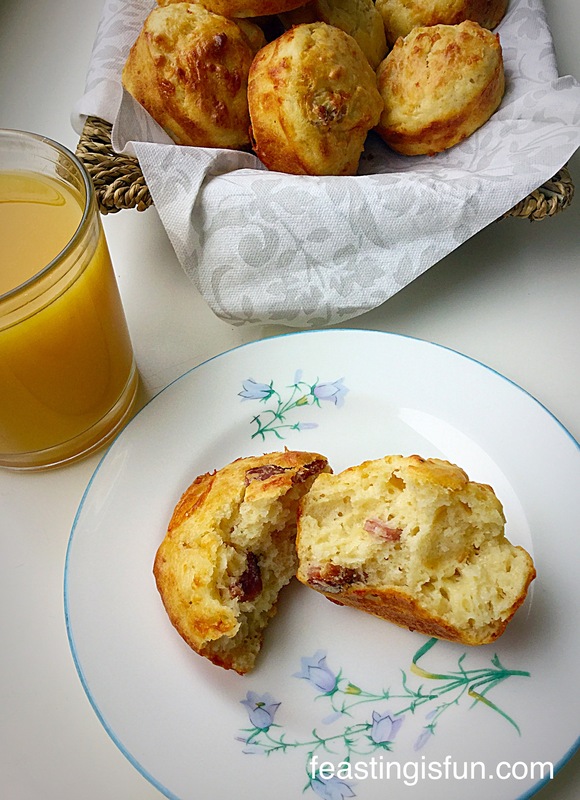 I always ensure there is a good breakfast on offer as it is the most important meal of the day and today I am able to share these delicious Cheese Bacon Breakfast Muffins with you, my lovely readers. 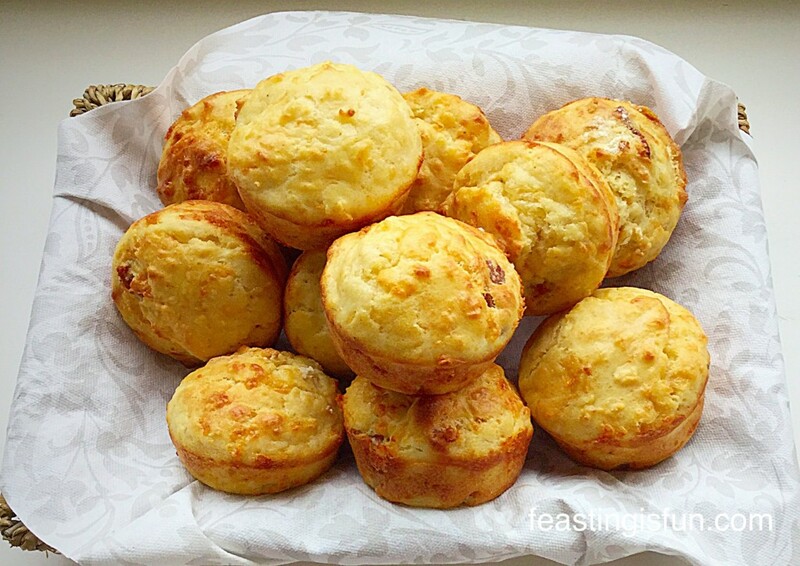 The recipe for these Cheese Bacon Breakfast Muffins was given to me Jackie Heaton, she is known as The Baking Nanna. These delicious muffins take under 30 minutes from start to baked. 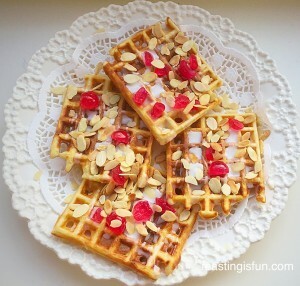 Especially good for weekend and holiday breakfast baking, or as I did today, make a batch, 5 minutes in the oven to warm through the next morning and breakfast is ready. 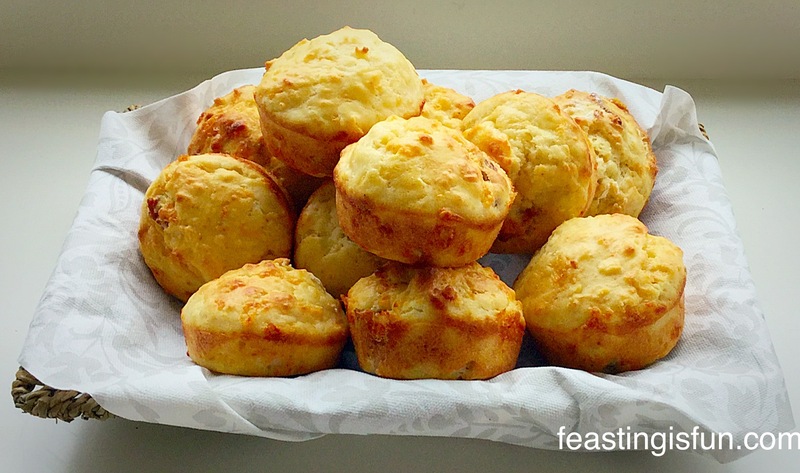 Cheese Bacon Breakfast Muffins utterly delicious warm from the oven. I met Jackie through Twitter and she is now one half of #TwitterBakeAlong. A group baking challenge run on Twitter. This morning, when I baked these muffins, within the hour we had people on Twitter baking these delicious breakfast treats. While everyone had a slight variation, others were coming up with ideas for future bakes. It was honestly so much fun. We laughed, smiled, shared and most of all enjoyed the fact that these Cheese Bacon Breakfast Muffins had brought us all together. 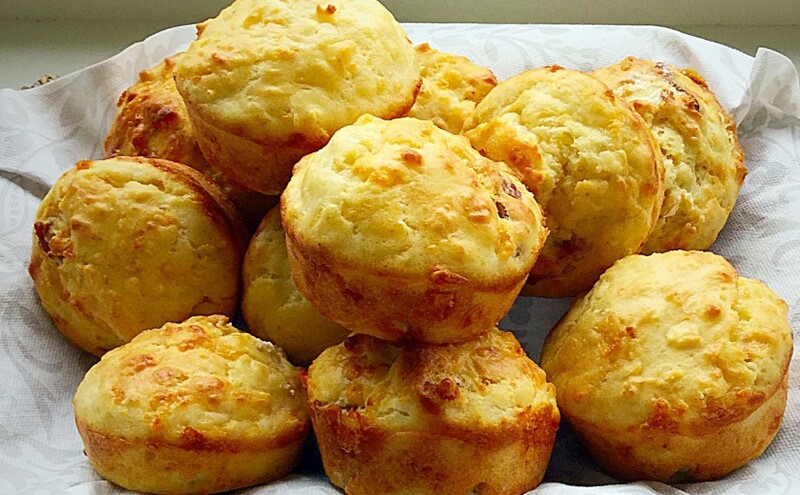 Cheese Bacon Breakfast Muffins fast food that is good for you! I baked these muffins without cases (I couldn’t lay my hands on any white ones – it was early! ), I was confident a quick spray with Wilton cake release and my British Bakeware muffin pan would be more than up to the non stick job in hand. By all means use muffin cases, I probably will next time, just as soon as I can find my plain white ones! As well as eating these warm, for breakfast, they also make a great addition to packed lunches and picnics. The Baking Nanna also puts them on the top of stews and casseroles aren’t they the same thing wrappers removed, in place of dumplings. 4 Rashers Streaky Bacon – I used unsmoked. Use whatever bacon you prefer. First of all cook the bacon until it is just crispy. I used a skillet on the hob but you can grill or bake the bacon. Place on a plate to cool then chop into pieces. Add the chopped bacon, grated cheese and pinch of black pepper to the flour and stir through – dry ingredients. In a jug measure the milk. Add the 2 eggs and vegetable oil and stir with a fork to combine – wet ingredients. Pour the wet ingredients into the dry ingredients and stir until everything just comes together. 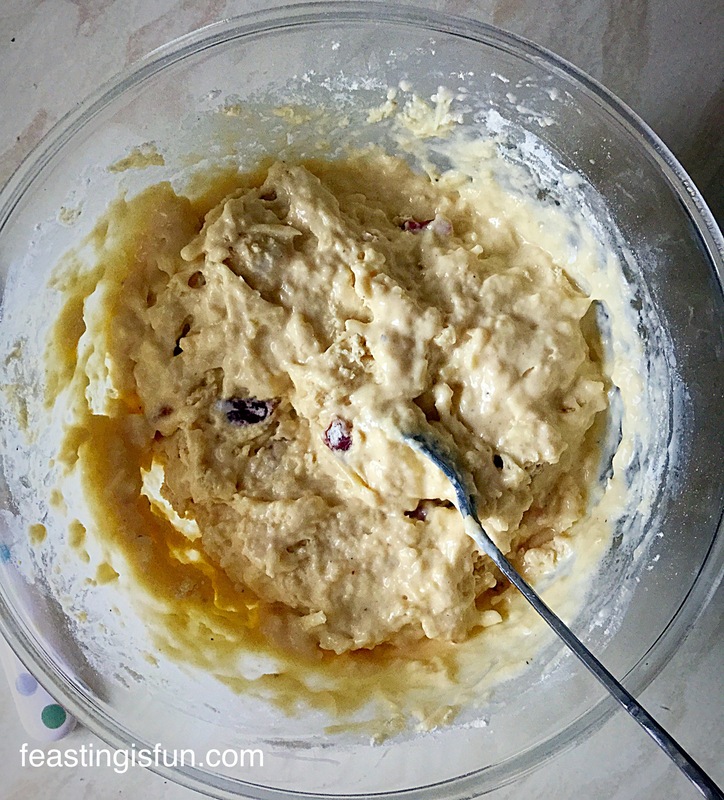 Muffin batter is meant to be lumpy, if you over mix you will have tough muffins. Lumpy batter makes the lightest muffins! 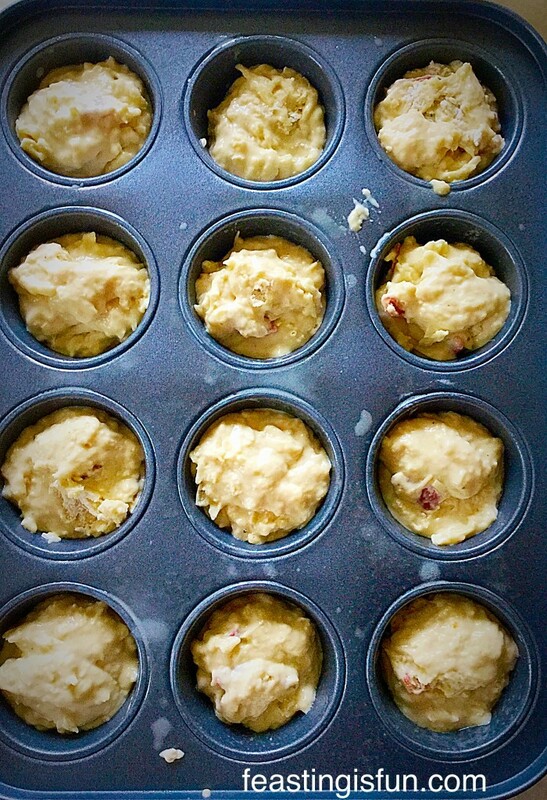 Scoop the muffin mixture into the cases/pan. These muffins are ready for the oven. Bake for 15-20 minutes until they are golden brown and firm to touch. As soon as they are baked remove the muffins from the pan and place on a cooling rack. 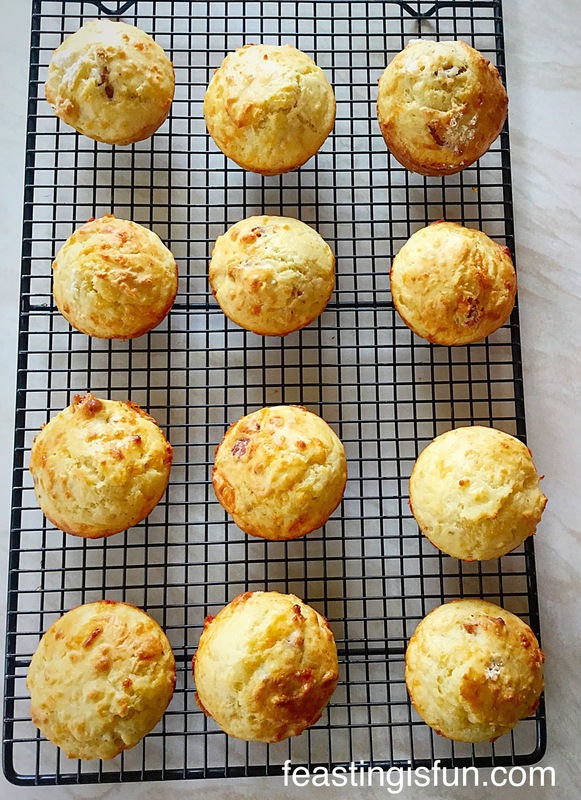 Cheese Bacon Breakfast Muffins they smell as good as they look! Such an easy recipe, that produces amazing muffins – you’ve got nuffin to lose! These muffins are best eaten within 24 hours of being made. Store in an airtight container. They can be frozen for up to one month. Fully defrost and reheat before eating. 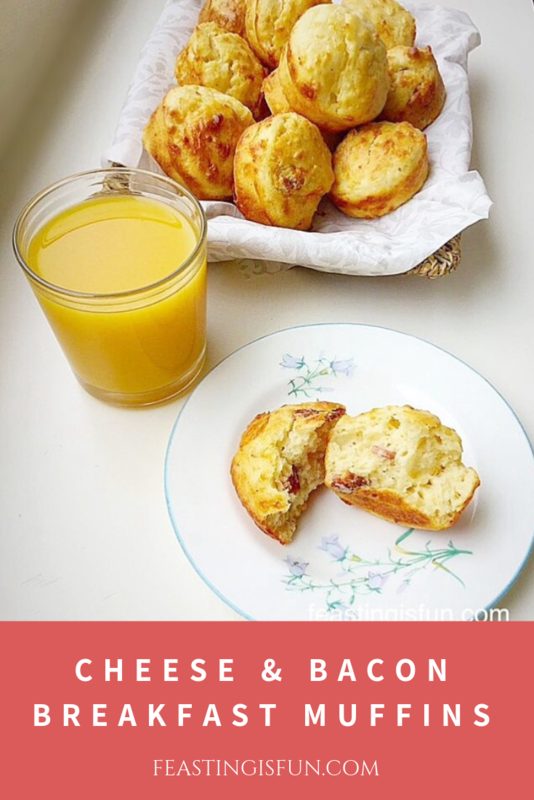 Cheese Bacon Breakfast Muffins perfect for feasting on in the morning. Do you find mornings hectic? Do you have a strategy for getting everyone up, feed and on their way? 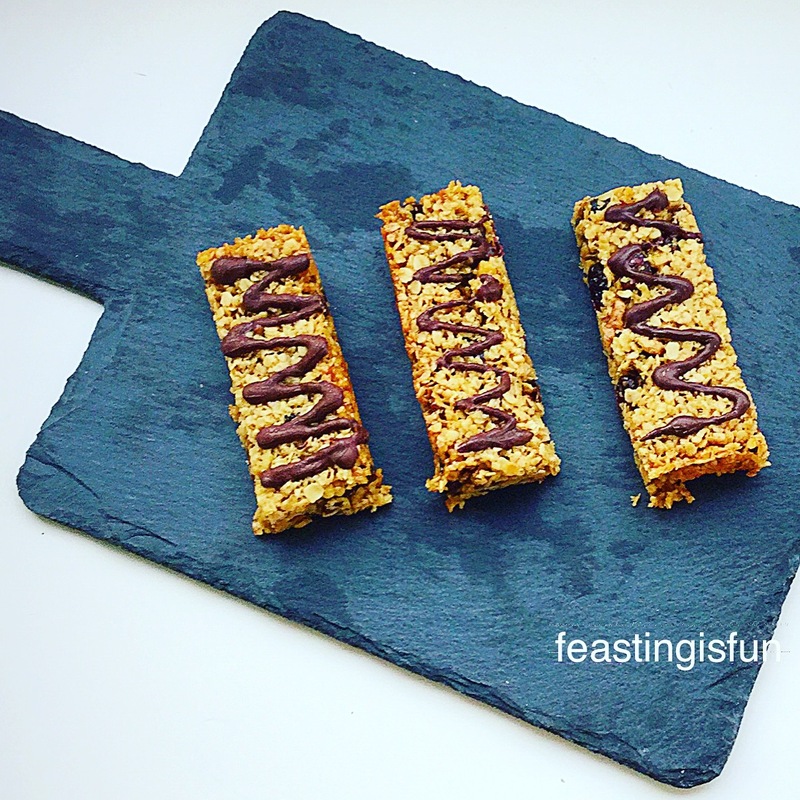 Cranberry Walnut Flapjacks – perfect for sustained energy release. 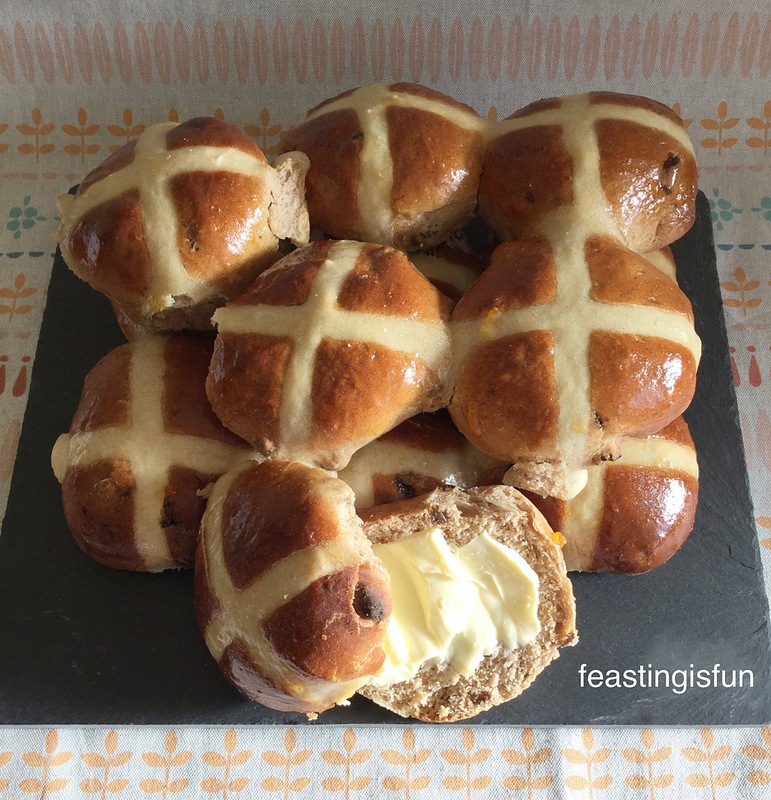 Hot Cross Buns – good to grab and go. 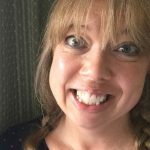 I hope I’ve given you some ideas to take some of the stress out of busy mornings. Please tag me in on Twitter/Instagram? 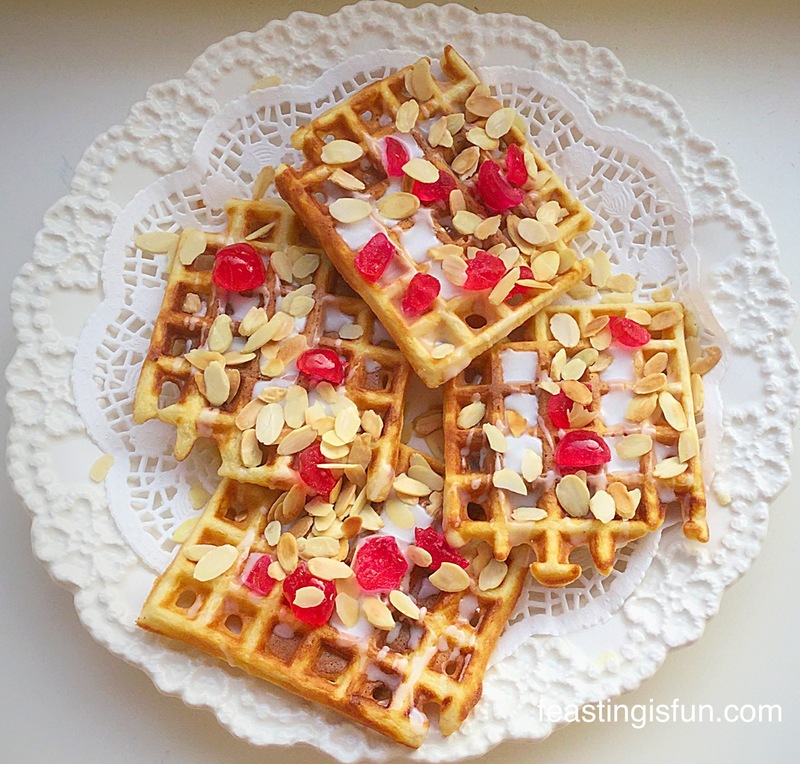 I love to see what you are baking and making. This is a fantastic recipe Sammie and they look fabulous. I really enjoy these, warm out of the oven or cold filled with cream cheese. They take no making and are a firm favourite in our house. Jackie, @kuskus1 aka “The Baking Nanna” is a wonderful lady. Always willing to help / share advice. Thanks for your comment Rob, it means a lot as I know you have baked these yourself. Jackie is a wonderful inspiration and always ready to lend advice. We are very fortunate to know her. Sammie.